Founded in 1990 by Peter “Piotr” Sommer (vocals/guitar) and Toni Scherrer (guitar/vocals), the band could quickly attract attention with their first demo tape “The Fog” and following concerts with scene stars like Hades, Midas Touch and Poltergeist. MEGORA swiftly established their reputation in the international underground scene and they used this drive to release the second demo “Moonstill Waters” in 1991. During this time bassist Dominik Schieweck joined up with the band and was to support them at numerous shows in- and outside the country. Despite the great reputation no established label for the band was found, so they recorded the entire first album “Waiting” on their own. With lots of commitment, self-initiative and without deal the band accomplished to tour through Europe as the opener for Metal Church and Wicked Maraya in 1994. The magnificent reactions fostered the interest in the band and so a label was found, that distributed the album in association with SPV in Germany. Despite missing promotion the album was a success and MEGORA played diverse shows with bands like Megadeth, Machine Head, Anthrax, Annihilator and many others whereby MEGORA made an excellent name for themselves as a live band! After another tour with Overkill in 1996 that led the band through Europe again and another EP (“Illusions”, 1997), MEGORA had to reject several attractive tour offers in the subsequent time due to financial constraints. In 1997 they braced all their energies to go on tour with Overkill once more. In 2002 the band put all their activities on ice for the moment to report back from winter sleep six years later, reinforced by Sven Vormann (ex DESTRUCTION, POLTERGEIST) on the drums. In the following years they played a few club and open air shows and wrote new songs. In 2012 they performed on the 70.000 Tons Of Metal Cruise, a cruise liner that travels from Miami (Florida) to the Cayman Islands. This was also the first concert trip out of Europe for the band. 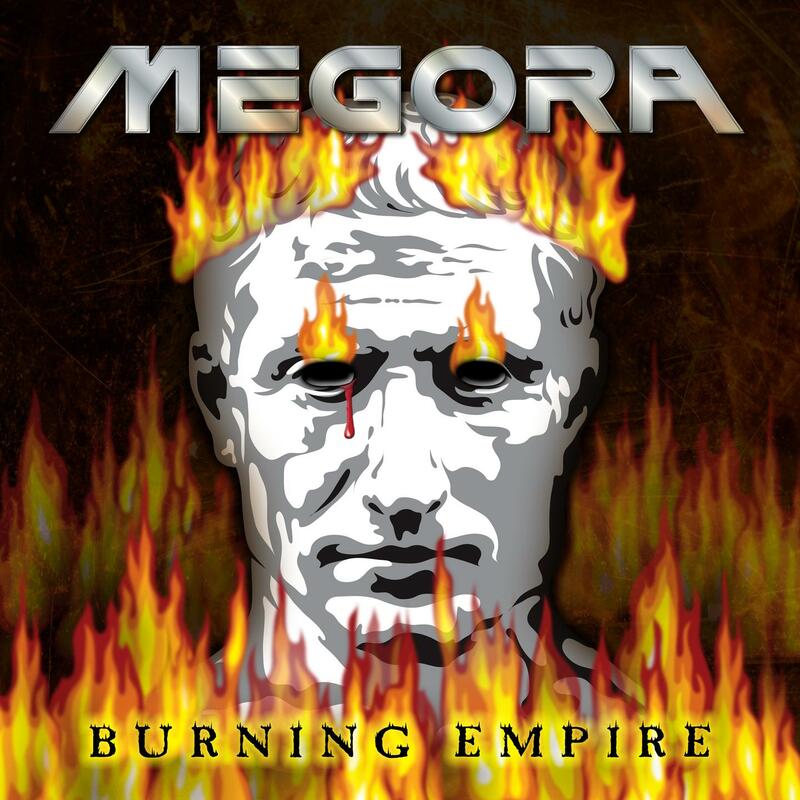 Now in 2014, MEGORA are working at full stretch on their new album “Burning Empire”, that will be released on January 23, 2015 via SAOL.